That’s all you hear, whether it’s on TV or someone says “You have to be on the Cloud”. What is the CLOUD? Is it safe? Should I run to it or run away? First, what is the cloud? The cloud is simply a location or series of locations that contain a large amount of servers usually referred to as a “server farm” or “data center”. The big players in this field are Amazon, Apple, Google, Microsoft and IBM. This “online storage” is available 24×7. The sites are generally picked for their location for being in a safe area and there can be many redundant sites across the world. In most cases if one goes down, another site can take over. Most cloud operators have over a 99.9% up time. There are hiccups and occasionally you may read about one site being down for a couple of hours. It does happen, but usually rare. Yes, your data is encrypted before it is sent or retrieved over the internet. No one can see your data except you. Cloud sites have backup (redundant servers and/or sites) and full time power generators. No, costs have become increasingly cheaper. In most cases, it is charged by the amount of data to be stored or transmitted. Is it slow or will it slow my Internet down? Depends on the service selected, but in most cases no. We generally schedule backups to run at night so there is no Internet performance issues. As for e-mail, Outlook locally caches your e-mail, meaning it keeps a local copy of your e-mail and synchronizes all your folders from the cloud hosted e-mail. When a new e-mail arrives in the cloud, it is immediately pushed to your local system and/or mobile devices. From our own experience we do not see any e-mail performance issues. As for file storage, If you were to use the cloud as a file server then saving and retrieving files from the cloud will be slower than pulling from a local server. However, using one of the cloud services we offer, you can save a file on your local system and have it automatically sync to the cloud in the background. Your file is then available on all your devices. 1. Access to your data and/or e-mail regardless of power failures, Internet outages or disasters. 2. Relatively inexpensive storage of your business data that is safe, secure and accessible 24 x 7 from anywhere. 3. Takes the burden off of your server(s) such as no need to host e-mail or mail security, saving CPU processing and storage space on your server. Even eliminate some or all of your servers. 4. Recover data that may have been damaged, deleted or destroyed without reliance on a local backup tape or cartridge. 5. No more geographic limits, users from anywhere in the world can access and share their data from any device. 6. Cloud virtualization brings an identical computing experience to any device or location no matter where you are. 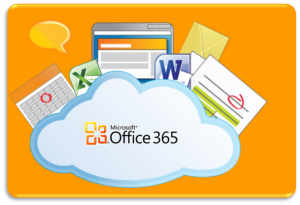 Microsoft Office 365 gives you the familiarity and power of Office with the flexibility of the cloud. With Office in the cloud, your applications and files are with you wherever you go, whether you’re working offline at your desktop, online, or on one of your devices. Edit files at your PC or Mac. E-mail or share files from your tablet. Join an online meeting from your phone. What you need is accessible from anywhere, right up front, and always up to date. Microsoft has recognized ATG as a leader in Office 365 and has designated ATG “SMB Cloud Champions”. E-mail with Exchange Online- E-mail has become such a critical business tool that any downtime is not tolerable. When you host your own e-mail (on premises) on your own server(s), e-mails can be interrupted by server failures, power failures and Internet being down. E-mails will not be delivered until the server, power or internet is back up. With cloud based e-mail, you still get all the features of using Outlook, Outlook Web Access, mobile (tablets, phones, etc), but with the added benefit of e-mail being hosted in a safe and secure location that will always be up regardless of your location’s current state. To most users this transition is seamless. 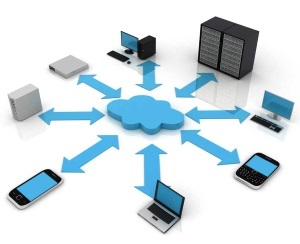 Existing e-mails, calendars and contacts can easily be migrated to the cloud. Hosted Files and File Sync with an Office 365 plan each user gets 1TB of cloud storage utilizing Microsoft OneDrive for Business. Files are stored locally and automatically sync to the cloud. These files are then available on any one of your devices, whether it be an iPad or Android phone. Microsoft also provides a Team Site with SharePoint Online where everyone in your company can share files regardless of location. Communications with Skype Business Online. Skype Business allows instant communications with colleagues (Instant messaging), live status (On-Line Presence) both in Skype and Outlook. Integration with Outlook to create on-line meetings and web conferences, white boarding and screen sharing. Skype meetings invitations can be sent to non-Skype customers. Skype can also be installed on your mobile devices.